»Backpack To Indrai Fort Now If You Haven't Already! Backpack To Indrai Fort Now If You Haven't Already! Maharashtra is home to numerous hill forts which have become popular trekking destinations over a period of time. Hence, today, they allure more trekkers and campers than history lovers. One such hill fort in this beautiful state is Indrai Fort, which has gained immense popularity amongst local trekkers since the last 5 years. Today, it is visited by hundreds of tourists on an average every month. How about getting yourself to this ancient marvel and exploring its natural surroundings? If you love trekking, then you should not miss out on this wonderful destination which will certainly give you an exhilarating experience. Read on to know more about Indrai Fort and how to reach it. Being a hill fort, Indrai Fort is a year-round destination. However, most of the trekkers prefer visiting it during the monsoon season, in between the months of July and September, when the entire atmosphere is filled with a cool breeze and when the natural beauty of its surroundings is at its peak. It is also a summer retreat for several local tourists who come here to escape the summer heat of the cities to spend some time amid serenity. By Air: The nearest airport from Indrai Fort is located in Nashik at a distance of about 65 km. Once you have reached the airport, you can hire a direct cab to the base of Indrai Fort. However, to reach the top of the fort, you need to trek up the hill. By Rail: Nashik has a good rail connectivity and hence, you can get direct trains to Nashik Junction. From the station, you can hire a cab to Indrai Fort. It will take you an approximate time of 1 h 30 min to reach the base of the fort from the station. 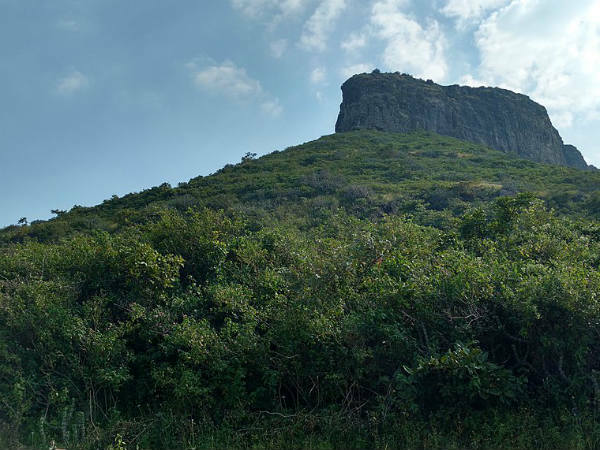 By Road: You can easily approach the base of Indrai Fort and then you need to trek to reach the summit of the fort. Located in the Nashik district of Maharashtra, Indrai Fort is believed to have been constructed in between the 15th and 16th centuries. However, no strong evidence to prove its exact history and formation has been found. Hence, it is rarely visited by historian and history lovers. As per records, it is said that this fort was captured by the British Army during the early 19th century. Today, the fort is only popular as a trekking and camping destination and is frequented by numerous trekkers during the weekend. However, you can still find the ruins of the fort, which include temples, caves and inscriptions. Wouldn't you love to trek up the hill which measures a staggering height of almost 4500 feet and explore the unknown history of this majestic fort? From the top of the fort, you can also savour the panoramic views of the surrounding hills and villages. If you are trekking, you should definitely plan a tour of Indrai Fort. If you do not love trekking, the major reason why you should visit Indrai Fort lies in its ruined structure which is still trying to narrate the legends of its formation. There is also an ancient Hindu temple dedicated to Lord Shiva and a few rock-cut caves, which will certainly interest you. During the monsoon season, the expanse of the fort creates a beautiful pool out of rainwater, thereby, making it a perfect place for picnickers too. How about lazing by this mini lake? You can also indulge in photography here and capture the frames of its lush greenery.